Last Friday I started planning out my weekend activities for game time. Normally, I still do a quick run of dailys anyway and then spread time out with professions, archaeology, solo some dungeons for this or that. This weekend found me a bit tired out though. I actually finished all the Firelands dailys the week or so before. Hellscreams’ Reach has been done and PvP drake aquired. Those two just have some achievements left on them to maybe gather up someday. I finally decided upon a quiet weekend of rep grinds. I know. What’s quiet or fun there. 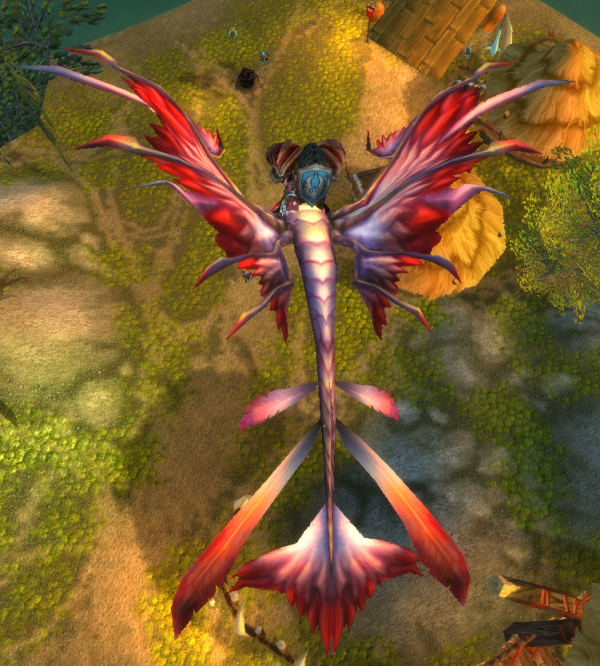 :p There was this little obsession ticking away inside me though that kept saying, “YOU NEED SILVERMOON EXALTED!” It had something to do with their dragonhawk taxi service. Just got to have one! As usual, my mind wasn’t quite at optimum operating level. I’m thinking “Exalted=Mount.” So, I dropped into the Ghostlands and started knocking out their quests. No problem? lol Majority of the rep from quests there is for Tranquillian. Whoever they are. Although, they do grant awesome amounts of rep per quest! 49/50 quests later, plus a few specific dungeon runs for Silvermoon, I’m exalted with both factions. Oh Happy Day! Wrong again, duh. It now appears that the only way I’ll gain the mount of my current obsession is through the argent tourney, or some black PvP dragonhawk, or the Mountain of Mounts achievement. Hmmmmmm? So I purchased another dozen mounts today with the reps I did have. Windriders and Hawkstriders abound in my collection thus far. 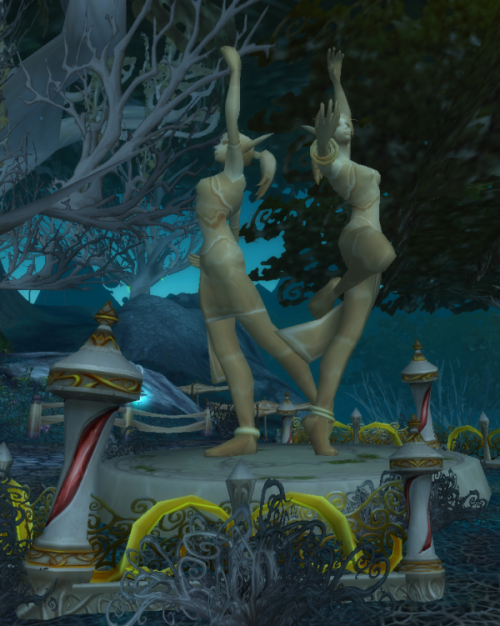 Having never ever played a Bloodelf, and with no intentions of ever doing so, I did take time to enjoy some of the sceneary while lopeing around the Ghostlands. I just love how everything seems to just hang and balance itself in the air. 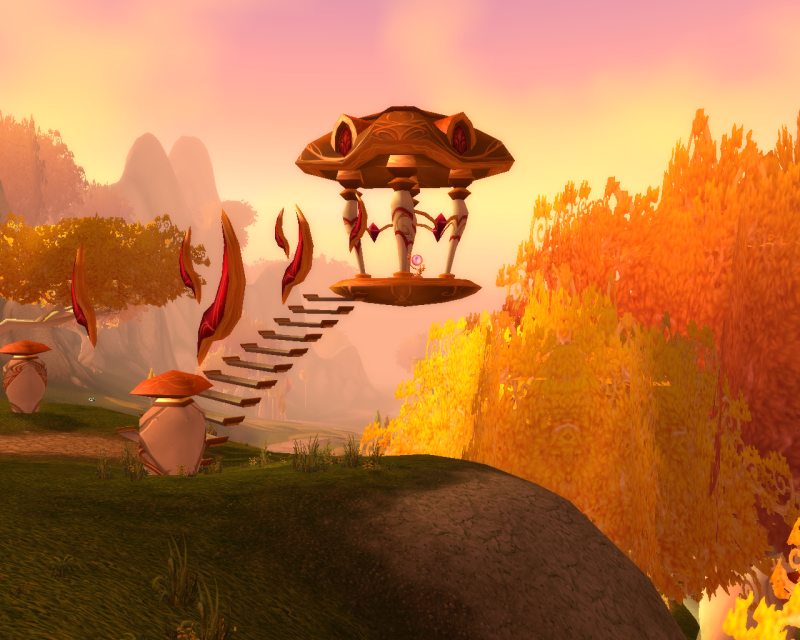 As if I did’nt get enough of a brainwash doing the Noblegarden egg hunts for that mount, I got the Netherwing rep underway a few days ago and spent the weekend hunting down Netherwing Eggs. Yep. Obsessive compulsive mount collecter?? At least I do have some rather easy quests and dailys to go along with it. Like booterang! Working undercover for the Netherwings does have some advantages! 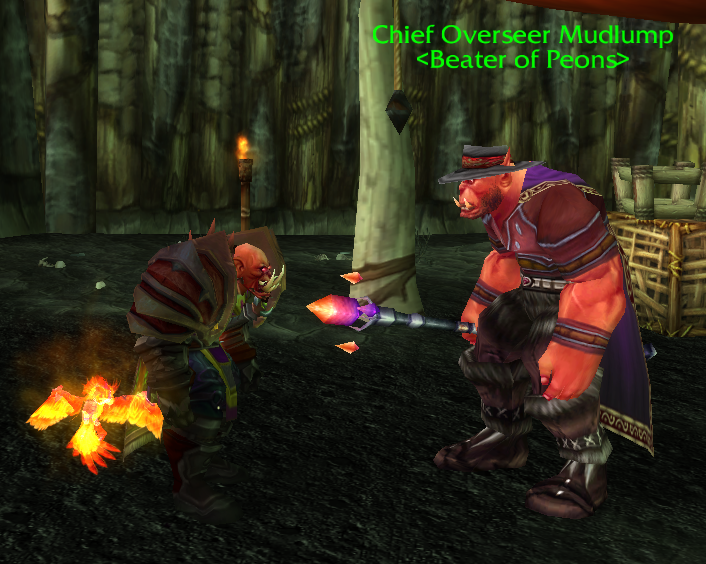 Nothing like taking your frustrations out on those lazy Orc peons. I’m half-way through honored now. No thanks to those rare, elusive Eggs! 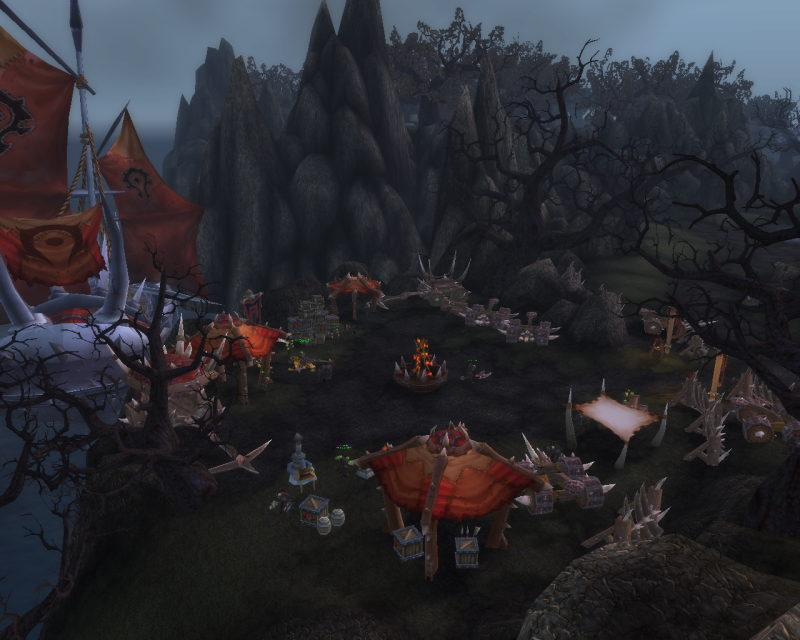 Hence, a picture perfect and relaxing weekend in the World of Warcraft. Well, at least as long as we don’t talk about the eggs. Or the HP farming fools who blow a perfectly good win in TB. Or Strathholm. LOL! My more serious game time is during the week, weekends are for the odd stuffs I get into. What about you? Do you try to balance things between serious and “take it easy” time? Have you got a list of fun things to do? Go ahead, list them here. I can always use some fresh ideas!